If you haven't already pre-ordered the Tesla Model 3, don't expect to own the car anytime this year -- or next. "This will be a long wait," Tesla (TSLA) CEO Elon Musk said at the company's annual shareholder conference on Tuesday. "I'm guessing if you put a deposit down now, it's probably end of next year before you get it." Musk's estimate suggests an even greater backlog than expected. On Tesla's website, the delivery estimate for new Model 3 reservations is "mid 2018 or later." Tesla hasn't updated the pre-order count since last year, but Musk said Tuesday that "there are more and more deposits every week." "So if you want, then definitely put down the deposit," he added. "The line isn't getting shorter." 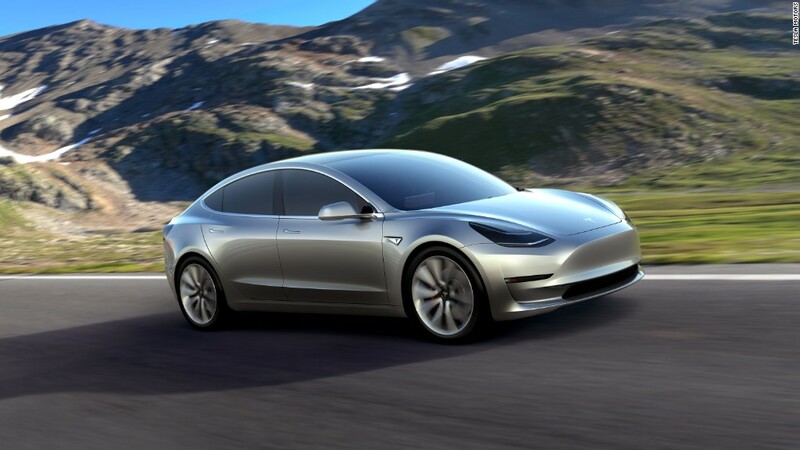 Optimism for Model 3 sales has helped drive up Tesla's stock price in recent months, pushing the company's market cap above traditional automakers like General Motors (GM) and Ford (F). But the cost of prepping for the launch has also pushed Tesla deeper into the red. It had to raise more than $1 billion earlier this year. Tesla said last month it was "significantly expanding" its infrastructure with more retail, delivery and service locations ahead of the launch.